Wedding dress alterations are a necessity for most brides–and have the potential to make a gown go from a dress to a wedding dress made just for you. 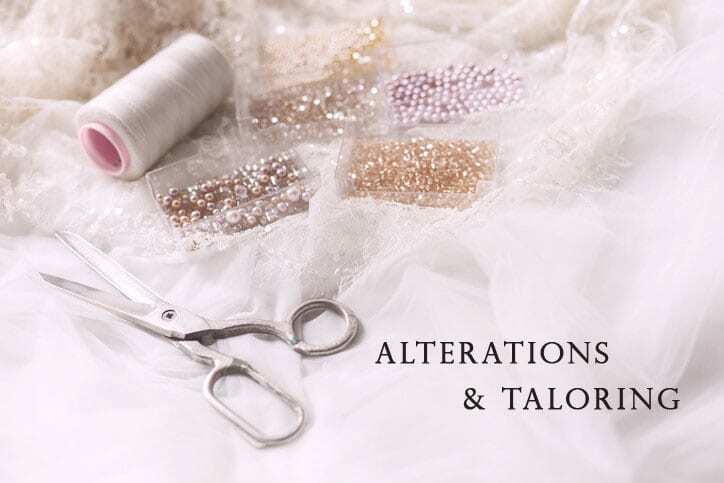 But alterations also have limits, and some brides might expect too much (or too little) from them. Here are 5 things you need to know about wedding dress alterations to avoid confusion and frustration. Alterations Can’t Fix Everything: While there’s plenty alterations can do, from making sure the dress fits to adding details, they can’t completely change the dress itself. It you’re finding you want to make several alterations outside of fit, it may be a sign you should look for another dress. They Can Come With A Big Price Tag: While some wedding dress alterations are relatively simple and low cost, others can add a big price tag to the overall cost of your dress. To avoid sticker shock, make sure you get a clear quote on all alterations that you’re considering. It May Take More Than One Go: Wedding dress fittings and alterations take time. The normal is to have 3 fittings, and you might expect small alterations at each one. Larger or style based alterations may also require adjusting, so communicate with your consultant, but don’t be worried if the first fitting not everything looks the way you want it to. There’s Ways to Slash Costs: If your budget is tight, ask a consultant how you can cut costs on alterations. The more you change your gown, the higher the cost of your alterations–going down or up more than a few sizes can really add up. So if you’re looking to cut costs, it might be a good idea to find a gown that’s pretty close to your size.